Boca Raton | Nason, Yeager, Gerson, Harris & Fumero, P.A. Boca Raton Government, Business and Real Estate Law Firm – Nason Yeager Gerson White & Lioce, P.A. The residents, businesses and government agencies of Boca Raton, Florida have a wide variety of legal needs that the law firm of Nason Yeager has been addressing for over the last 50 years. Our law firm practices in 12 legal disciplines to protect the interest and resolve legal issues for citizens, business and municipal government. The firm also practices law in the legal area listed below statewide in Florida. To arrange for a legal consultation call our Boca Raton Law Office at (561) 982-7114. Estate Planning is an important process for Boca Raton residents to make sure the assets you accumulate during your lifetime are managed and distributed to your beneficiaries in accordance to your goal and objectives. The Nason Yeager estate planning team uses many tools to meet a variety of needs. Health Care directives can be critical in implementing your end of life wishes if you were to become seriously incapacitated. Our firm also prepares Last Will and Testaments to legally document how you wish your estate to be distributed to your beneficiaries. Living Trust can be implemented to manage your affairs during your lifetime and then be distributed to Trust Under Agreement managed by your trustee for final distribution to your beneficiaries. Trusts can also be created to meet special care needs of family members or fund an endowment or charity you believe in. Attorneys at Nason often serve at trustee under a trust or personal representative under a will to make sure the estate fiduciary duties are met. Friends or family members may also be appointed to serve as fiduciary of the estate but the process is complex, tedious and emotionally draining. Many family trustees and PR’s (Personal Representatives) often have Nason Yeager serve as agent to the estate to oversee the important legal estate administration issues that may arise. It’s not unusual for serious issues and challenges to develop during the estate settlement process. In some cases, mismanaged can be claimed and require legal representation and is some cases litigation. The best course of action to prevent stress and contention between family members is to do custom estate planning with a Nason Yeager lawyers and name a trustee or personal representative that you are confident can to the job. For five decades Nason Yeager has served the residents of Boca Raton during which time, we have earned a distinguished reputation in the practice of family and martial law. Our attorneys understand that separation and divorce can be a extremely stressful situation for anyone. Our family law practice is designed to protect your interest and resolve marital disputes with the least amount acrimony. We can also draft prenuptial agreements, litigate contested divorces and litigate child custody. Nason Yeager also assists couples during the adoption process. can also represent couples in the child adoption process. Our law firm implements legal strategies to protect our client’s assets and wealth. Weathly individuals and successful companies can often become the target of unfounded lawsuit and claims. Creditors and also create risk for business and individuals. Our attorneys pay close attention to real and potential creditor claims and state and federal laws that can create financial risks. We provide legal counsel on the best methods mitigate risk and preserve your wealth. Nason Yeager has proudly served as legal counsel for cities, counties and state government in Florida for over 50 years. Our law firm has defended the legal rights of our Boca Raton clients before municipal governments, county officials, state and federal officials. We have dealt with complex government affairs including tribunals, municipal hearings, rule challenges, bid protests and professional licensing issues. Our firm’s long term contribution in this area of law practice has been instrumental in the creation of laws and regulations implemented on the local, state and federal level. Nason Yeager also serves public and private utility companies in the Boca Raton area and throughout Florida. Our attorneys provide expert guidance through the complex regulatory process of a new project. This can include utility project, planning, financing, zoning and construction. Upon completion of a utility project our legal team can continue to provide legal advice on regulatory compliance on a variety of other issues. Over the years we have also assisted utilities purchase and the sell utility assets across the state of Florida. Nason Yeager legal services serve recently established enterprises as choosing the best form of ownership and management is critical. Our legal team can guide you through the selection of the proper ownership type whether it be a Sole Proprietorship, Limited Partnership, Limited Liability Company or Incorporation. All lawyers e worked closely with large “Blue Chip” companies as well as closely held business and venture capital start-ups. If your businesses goals are to grow we can advise on debt or equity financing through public offerings or private placements. When retirement is contemplated we can help draft a sale agreement for your Boca Raton business. For Boca Raton businesses to remain successful they need to protect the company for unfounded lawsuits. It may often be the case that successful companies may be a target of spurious legal claims. When a lawsuit or legal complaint is filed against a company is can quickly become overwhelming for management, sapping the strength time and energy from your business. The Nason Yeager team of business litigation attorneys can represent your interests and allow your management team to continue to focus on operating the enterprise. For over five decades Nason Yeager’s dispute resolution team has resolved countless problematic lawsuits. We can negotiate a favorable settlement on your behalf or pursue your case in court. 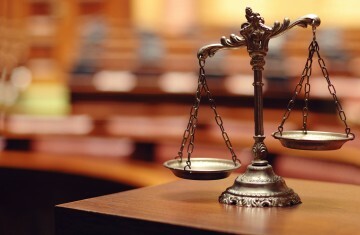 Our legal team is aggressive yet practical to make sure your dispute is resolved without unnecessary costly litigation. Our business planning team can consult and provide guidance on import IRS tax matters. Nason Yeager attorneys have valuable experience in raising debt and equity capital for many emerging growth companies in Florida. Our securities law legal team can assist you in compliance with Federal (SEC) and state securities laws. We have funded companies with hundreds of millions of dollars in capital via private placements, syndications, debt, equity and venture capital and private equity financings. Our practice also includes the preparation and filing of SEC 10K, 10Q and annual report. The attorneys at Nason Yeager law firm provide a broad variety of real estate legal services to consumers and business in the Boca Raton area.. We have dealt extensively with real estate use issues related zoning and variance matters. Our lawyers e address the legal issues regarding the purchase and sale luxury residential homes, retail shops, commercial office buildings, hotels, restaurants, medical facilities, marinas, and condominium properties. Our firm is a title insurance agent for Title Fund Services, Inc. and Fidelity National Title Group. For troubled real estate we can establish bank loan workouts, deed in lieu of foreclosure arrangements or handle friendly or foreclosure. We also advise condominium and property owner associations, on compliance management issues, land use, zoning, permitting and development impact issues. Nason Yeager advises developers and governments in Boca Raton and throughout South Florida environmental and land use issues. Our legal staff has deep knowledge of local, state and national environment regulations and laws. Our firm has dealt with trouble contaminated soil property in oil spills and Superfund sites. Boca Raton has an estimated population of over 93,000 residents. In surrounding recently developed communities an addition 200,000 people reside. Boca Raton is an active South Florida business center of commerce, the city experiences significant daytime population increases. Boca Raton is one of the wealthiest communities in Florida. In 1991, the new downtown outdoor shopping and dining center, Mizner Park, was completed over the site of the old Boca Raton Mall. It has since become a affluent shopping area and cultural center for southern Palm Beach County.